Based on the award-winning manga series Umimachi Diary, Our Little Sister is the new film by the acclaimed director of Like Father, Like Son and I Wish. 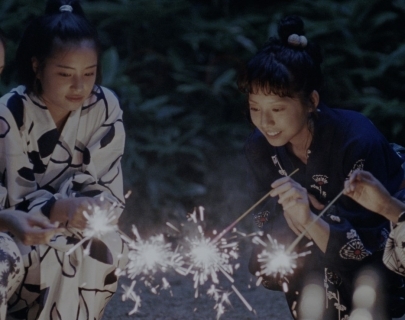 Nominated for the Palme d’Or, this exquisite family drama tells the lives of three sisters in their twenties who live together in a tight-knit small seaside town outside of Tokyo. When their estranged father dies leaving behind a daughter, the girls impulsively take in their half-sister. This sparks a journey of self-discovery for all four sisters, looking back into painful pasts but also reaching forward to hopeful futures. What begins as a comedy between strangers soon develops into an affecting tale of familial bonds and the responsibilities of adulthood. Set across the varied colours of the four seasons, this is one of the most graceful, tender and moving films of the year.